My question is in general but for right now I'm just specific about country music. Every genre of music has its own elements, and some genres have some features and some other don't. First of all I want to know is it really true or you cant distinguish genres with these elements. Right now I'm just looking abut these elements for country music but is there any complete and perfect practical information about these elements for every genres? (I know there are too many different kind of music through history, I mean most possible). All music styles are overlapping hybrids, so you consistently find elements of one in another. However, there are identifiable characteristics of American Country Music, as long as you understand you will often see those very characteristics in blues, rock and roll and other popular forms with a common heritage. Probably the most prominent feature would be the hammer on suspension from the second to the third degree of the scale. It is most often played with bent strings on guitar, or by pedal manipulation on a steel guitar or by a glissando on the fiddles. However, the country piano lives by this figure, as you will hear in the works of Floyd Cramer. There are a number of characteristic rhythms that identify the form. I would leave that to a percussionist to describe well. Because this form is grounded in rural folk music, the lyrics of songs concern themselves with the problems of rural people, or often the problems of rural people who have moved to the city. Nostalgia is a strong motif in Country songs. The singing style typically includes scooping, in the manner of the 2-3 hammer on described above. The accent used by Country singers usually reflects a background from parts of the country with large farm populations - the rural south, the mid west and the southwest. This is just a cursory review of a few of the characteristics of the form. It is interesting to note that the Father of Country Music is widely recognized as Jimmie Rogers, "The Singing Brakeman." One of three men with the same name in 20th Century Music, (the others were a wonderful Afro-American blues great, and a very popular white folk singer,) he recorded with the likes of Louis Armstrong and contributed almost as much to the origins of the blues as he did to the form he is said to have fathered. Not the answer you're looking for? Browse other questions tagged theory composition country-and-western or ask your own question. What makes a song a “rock” song? Is there any rules to choosing appropriate drum pattern for a melody? 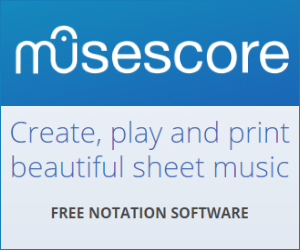 What exactly is a beat in sheet music/music?